Escape the hotel scene and find relaxation and adventure by visiting Aruba's private islands. Easily accessible by boat, Aruba's private islands can be enjoyed by purchasing day passes. Renaissance Island is reserved for guests of the Renaissance Hotel and the Renaissance Suites. Since these hotels are located in the harbour area of Oranjestad, the Renaissance has purchased this private island to offer their guests a sandy protected beach just offshore. Renaissance Island scheduled ferries transport their guests from the Renaissance hotel properties directly to a small, secluded island that features a restaurant, spa, water sports, hammocks, private cabanas and every other amenity that a sun worshipper will need to spend an afternoon in paradise. At the mouth of Spanish Lagoon in the Caribbean Sea lies a stretch of coast, the private island of De Palm Island. Due to the beautiful coral reefs with colourful tropical fish, especially the large purple-blue parrot fish, the island is one of the most popular diving and snorkelling spots in Aruba. De Palm Island is home to the colourful, twisting slides that make up the Blue Parrotfish Water Park as well as the base for excellent snorkelling, snuba and seatrek adventures. 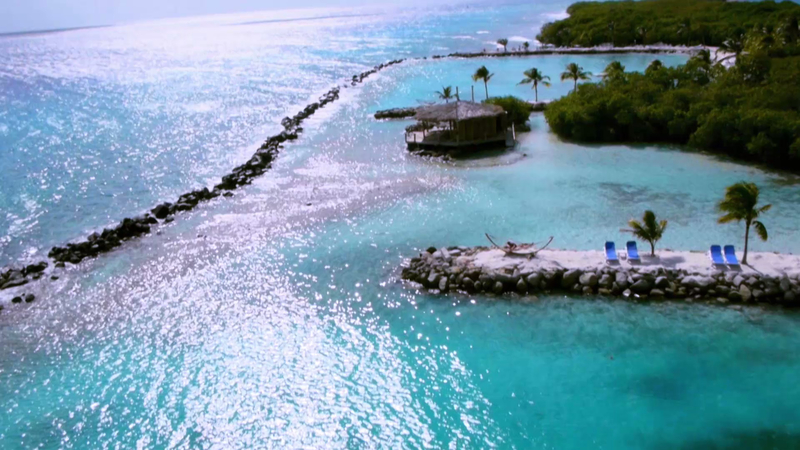 This private island is just a five-minute ferry ride from the mainland. Hammocks, food and beverage facilities and a playground are all available.